Many business owners are considering accounts receivable factoring to improve their business’ finances. This type of funding can bring vital cash to a business that’s waiting for payment from credit sales-cash that can be used to run the business more efficiently in a variety of ways. But the business must get approved by a factoring company first. This isn’t always easy. A common reason for small business funding rejection is low gross profit margins. 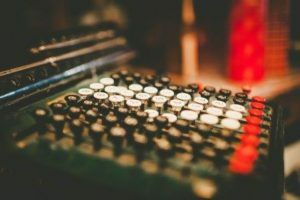 Contrary to conventional factoring wisdom, invoice factoring companies want to do business with fast-growing, profitable businesses-not extend a lifeline for troubled businesses. The business that wants to start factoring accounts receivable doesn’t necessarily need to be bottom-line profitable yet, but if gross margins are healthy (above twenty percent), it signals the potential for a long invoice financing relationship because the business should survive. A business with a strong gross profit margin will not only be more profitable, but they will weather a financial setback or mistake much better. Consider a business with gross margins of 20%. Just a $1 increase in fixed costs forces the business to increase sales by $5 to break even. Some accounts receivable factoring companies won’t approve a business without at least 15% gross margins but the higher the better for gross margins. Raising prices is the easiest and most obvious way to improve your gross profit margins, assuming you keep your cost of goods the same. Your business should become more profitable and improve your access to small business funding. For late-paying customers, all you’re doing is building the necessary factoring costs into the price. Consider adding 2% to the cost of your product. Don’t worry too much that you’ll scare off your customer. Here’s why. The longer payment terms are likely more important to them than the actual price. If you’re still worried this will scare off a customer, consider an early incentive. For a customer that typically pays you in 90 days offer them new payment terms. Inform them of the 2% increase, but offer a discount for earlier payment, 1% for each 30 days earlier the pay. This way, they have the power to decide whether they want the price increase or not. Your customer realizes they are already receiving an interest free loan from you. They may be enjoying supplier discounts on their end. Further, they have increased their net working capital to more effectively run their business, at the detriment to yours. Remember, the cash flow is likely more important to your customers than a small increase, which helps defer your fees when invoice factoring. This is essentially true the larger and more established your customers are. Not that they need it. The costs of borrowing in corporate debt, especially after the interest deduction, makes their cost of capital almost free. Further, an increasing number of companies have made delaying their accounts payable a competitive business strategy. Some like Amazon went as far as to operate with a negative cash conversion cycle of 24 days back in 2014.1 This is essentially free funding. Improving your gross profit margin with a price increase will go a long way towards getting approved by invoice factoring companies. Lack of profitability is one of the most common reasons businesses get rejected for accounts receivable factoring. Once your gross margins improve, see how your profitability continues increasing once you start factoring receivables. The digital age has the potential to really bring down factoring fees for small businesses. Online factoring companies such as Bluevine and Fundbox are revolutionizing the way businesses access capital. Check our Fundbox reviews and Bluevine reviews for more information on their costs, minimums and reputation. There are also online marketplaces where businesses and consumers (in the case of freelancers) can shop the best financing terms. This allows them some additional protection against large, late-paying customers.